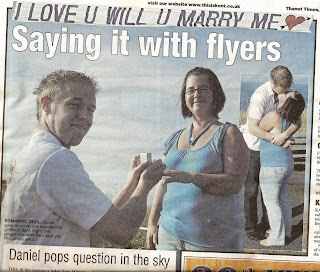 I see the Thanet Times ran the story of the marriage proposal we flew for Dan to Sam at Palm Bay near Margate on Saturday afternoon. A nice photo (pictured left) and the memorable moment of a lifetime for the happy couple! 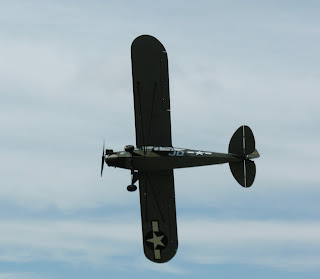 An interesting six hours or so in the air on Friday. First stop was Calais and 'The Jungle' the sparsely wooded area adjacent to the port, for a national newspaper, having a good look at what was taking place in the refugee encampment below. I was struck by how many blue tarpaulin-covered shelters there were, lean-to's huddling miserably together in a relatively small and dirty space and the presence of scaling ladders visible and badly concealed on top of several. Most surprising of all is how close the industrial estate and coach park are to the 'Jungle', quite literally on the other side of the bushes. Below, there was evidence of organised activity, with one large group of men visibly being directed by a single individual in a leather jacket. Where they might have been going I can't say but there was no shortage of lorries or coaches within easy reach of any passing travel interest. Back on this side of the Channel, it was back to nuclear reactors, taking in Bradwell Bay and Sizewell B, which I couldn't survey on Monday and then across East Anglia to survey building progress on two brand new prisons; one on the site of the old RAF Coltishall in Norfolk and the second near Peterborough. 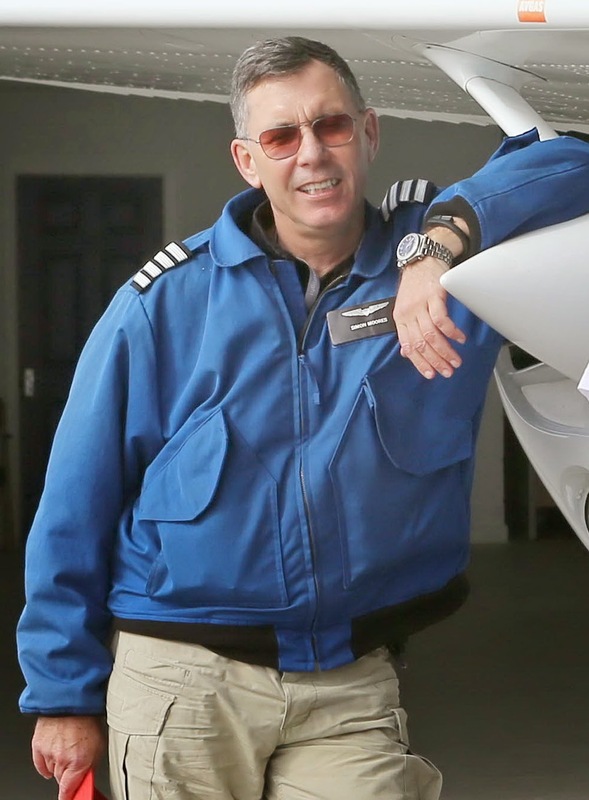 Mind you, given the present deplorable state of our criminal justice system, I believe we would need to build a prison a month simply to keep up with the demand for places which now sees even the most serious offenders swiftly released into the so-called 'Community' for rehabilitation. The 'Jungle' is scheduled to be buldozed soon but this will simply displace the problem elsewhere as the French appear disinclined to police the problem in Calais vigorously and instead, blame us for our "Ridiculously generous" benefits system. However, as you may have seen in the news this week, the trail of human misery which ends in Calais at the opposite end of the Channel Tunnel, starts a very long way from Europe and passes through the barren desert of Libya on the way; one reason why our Government and the Italians are so very keen to seek rapprochment with Colonel Gaddafi, large oilfields aside! 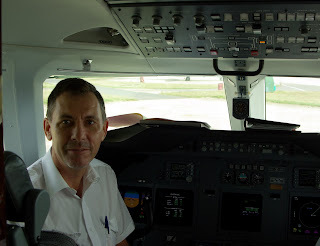 I found myself on a day trip to Milan on Sunday, as a member of the flight crew on a positioning trip of a Gainjet Gulfstream 200. It's easy to understand why Manchester United and members of the super wealthy prefer executive jet travel whenever possible. 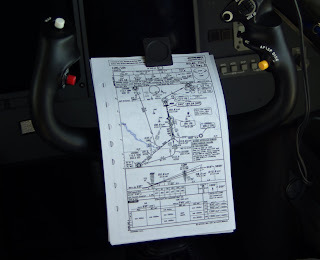 Passport control and travel formalities are a polite nod at both ends and the interior of the aircraft is lavish in mahogany and leather with all possible comforts supplied. In contrast though, I have to tow a banner for Leicester Tigers rugby club this week, not quite the same as exploring Istanbul but another challenge none the less! 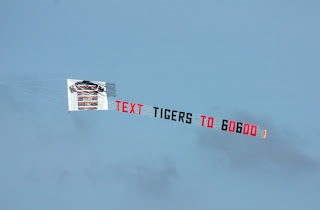 Leicester Tigers rugby club has asked Airads to fly a banner for them in September. 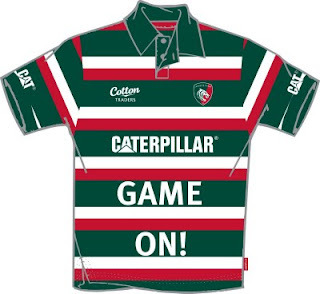 As you can see from the artwork, it's a going to be a very large version of a rugby shirt in club colours, followed by a streaming text message: "TEXT TIGERS TO 60600". I think it maybe hard to miss over the town and we will be interested in the results of the text campaign on the public below!